You are the current highest bidder! To be sure to win, come back on 08 Mar 2015 14:55 GMT Date Format as the lot closes or increase your max bid. 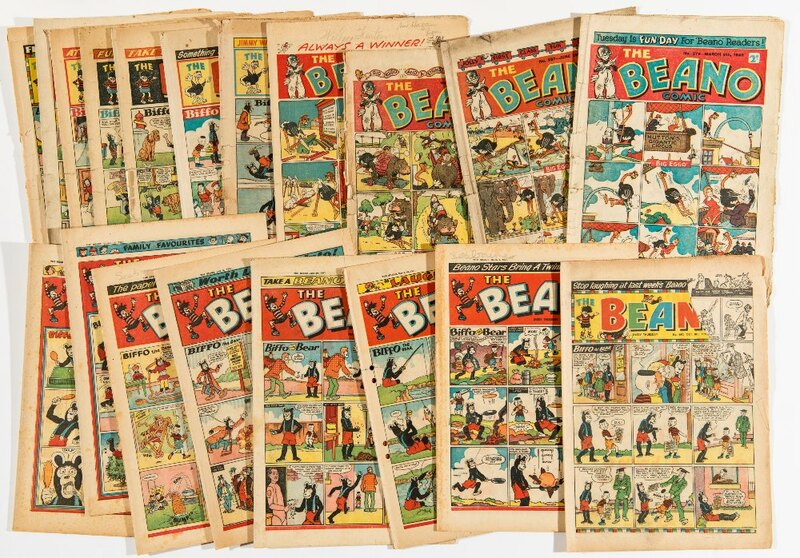 Beano (1946): 279, 287, 289, 296, (1951): 449, (1954): 604, 635, 636, (1955): 650, 676, 688, 690, (1957): 764, 765, 780, 781, 784, 796, (1958): 851 [fr/gd/vg] (19). No Reserve.